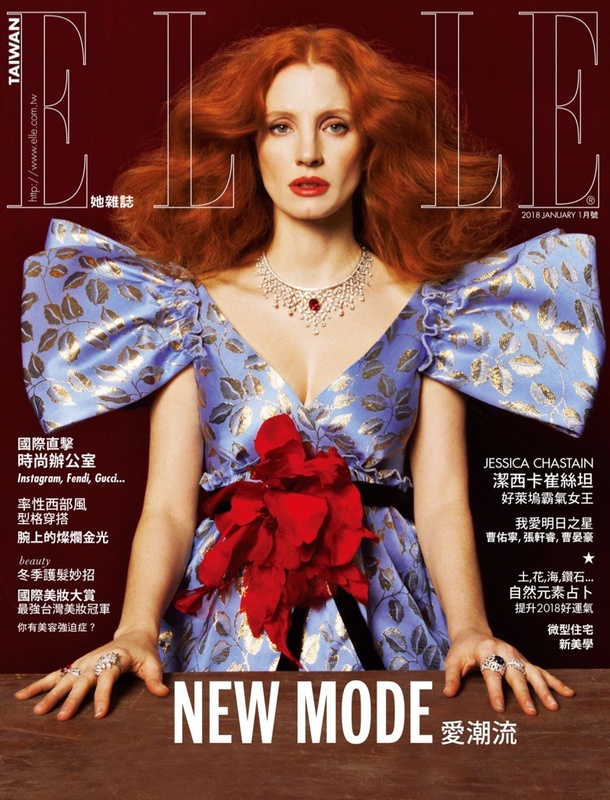 Jessica Chastain graces the January 2018 cover of ELLE Taiwan. 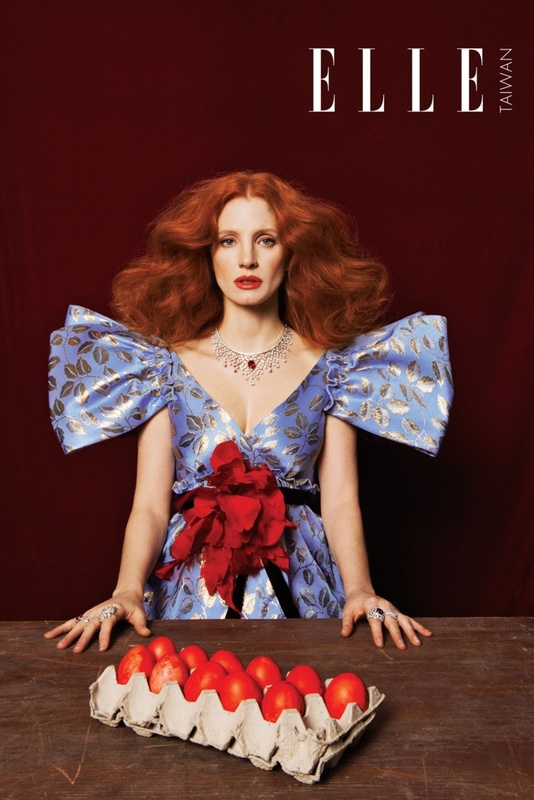 Photographed by Zhong Lin, the actress poses in a brocade dress from Gucci with jewelry from Piaget. Inside the magazine, Jessica poses in elegant dresses and gowns for the fashion shoot. Styled by Kate Chen, the movie star impresses while wearing the designs of Louis Vuitton, Givenchy and more.